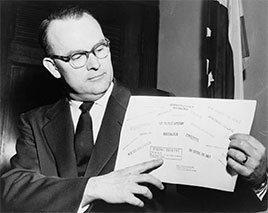 Representative John E. Moss originally championed the idea of the Freedom of Information Act in 1955, though it would be 1966 before President Lyndon B. Johnson begrudgingly signed the law in 1966. There is a wealth of of information available from the varying levels of jurisdiction in your area and beyond. Whether you are seeking general government information, criminal records, or background information on yourself, there is invaluable knowledge to be gained by searching with the correct criteria and in the appropriate department or jurisdiction. The most central concept, and the one that allows these governmental records to remain public, is known as the the Freedom of Information Act, or FOIA. In this article, we define the FOIA, explain its purpose, and show the relation between it and another important federal law that deals with public information: The Privacy Act of 1974. The Freedom of Information Act is a federal regulation that was instituted in 1967. The purpose of this law is to allow the public access to “the actions of the federal government”, and by translation, that of certain individuals. Specifically, it allows the public to “obtain information about the actions of the government, thus, giving them the freedom of information. The Freedom of Information Act requires that citizens be given access to government records unless disclosure involves litigation, the CIA, internal agency memos, personnel matters, trade secrets, classified documents, law enforcement activities, confidential government sources, violations to an individual’s private interests, and civil service exams”. 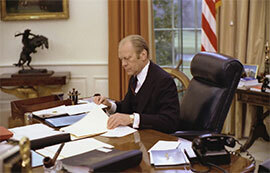 Gerald Ford signed the Privacy Act of 1974, in response to concerns about how the creation and use of computerized databases might impact an individuals' privacy rights. Yet as worded, many consider this description to be vague. So exactly what information does the government have that the public might be interested in? There are records that deal with the operation and administration of the federal government that exclude information on individuals. Records that typically do not exempt information on individuals are “the formulation and execution of U.S. Foreign Policy, the administration and operations of the Department of State and U.S. missions abroad, applications from U.S. citizens for U.S. passports, visa requests from non-citizens to enter the U.S., and consular assistance given to U.S. citizens abroad. This applies to all government agencies and departments except congress, federal courts, and Executive Office of the President of the United States. Once exempt-free information is requested, the federal agency contacted must answer that request within 20 days. The Privacy Act of 1974 was instituted to protect individual rights. The Federal Privacy Act has a close and distinct relationship with the Freedom of Information Act, in that the it determines criminal record availability. The Freedom of Information Act allows public access to federal government topics and actions, not necessarily individuals. The Federal Privacy Act allows access to records of individuals, as opposed to topics and actions. Both laws work together to both protect and inform U.S. citizens of their government and their relation to it. Specifically, the Federal Privacy Act “gives an individual the right to see and copy files that the federal government maintains on them, find out who else has had access to the information, and request a change in any information that is not accurate or relevant”. While this law gives access to information to a specific individual and not to other public entities, there are some public entities that may still access this information. They are related to the following situations: statistical research, by order of a court, as needed by law enforcement, if medical necessity calls for it, and for any reason that is “similar to the reason it was originally collected”. It then falls on the federal agency that has been issued the request to respond within 20 days of that request.